A 39,660 sq. 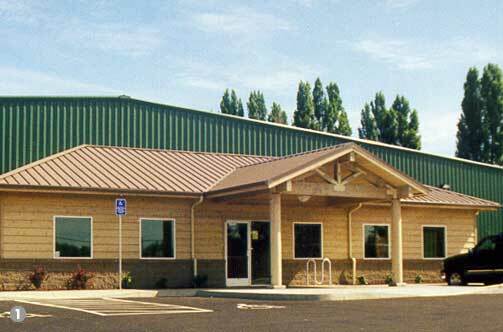 ft. pre-engineered steel and wood frame warehouse and office building for a wholesale distributor of cedar lumber products. The project included a 2,400 sq. ft. office wing and a 5,200 sq. ft. remanufacturing area where lumber is re-sawn, planed, and machined for custom orders. The project is constructed with a pre-engineered steel framing, roofing, and siding system. The office wing is wood framed and features many interior and exterior products sold by the company including cedar siding, paneling, and lumber products.